Oud, also known by the names agarwood or aloeswood, is one of the ancient and most revered incense ingredients. It is the dark, aromatic resinous substance that is formed in the heartwood of the species of trees called Aquilaria, Gyrinops, and Aetoxylon. Oud incense sticks have been used for a very, very long time and they have been a regular feature in most cultural and religious rituals practiced by civilizations around the world over. The deeply primitive, psychoactive, and extremely unique scent of good quality oud is widely regarded as one of the best scents for yoga and meditation and many other spiritual practices. Agarwood leaf is said to contain anti-aging and anti-cancer ingredients. #1: It is believed that when remaining in the environment where the incense sticks are being burned, you experience heightened creativity. It works on the same principle of listening to music. It provides inspiration and motivation. Further, aromas have the ability to trigger an emotional memory. This, in turn, stimulates thoughts and creativity. Agarwood incense sticks are particularly effective because of their distinctively psychoactive nature. #2: When we feel angry, upset, or stressed our brains send signals for the release of stress hormones. The stress hormones cause inflammation in your body. This leads to the release of cytokenes, the inflammatory proteins and stress hormones like cortisol. They greatly impair your cognitive function and you may experience brain of mental fogging. This is one of the major reasons why people put up a poor performance when they experience stress. It is an accepted fact that inhalation of some aromas is very effective in reducing heart rate and soothing the nerves. They are also known to create certain ion channels, especially in the brain, and trigger the production and release of hormones such as serotonin and proteins such as TRPV3 that are responsible for elevating the mood. They also drastically relieve the symptoms of anxiety, stress, and depression. Studies carried out by experts have revealed that the scents released by agarwood incense sticks are very helpful in this regard. 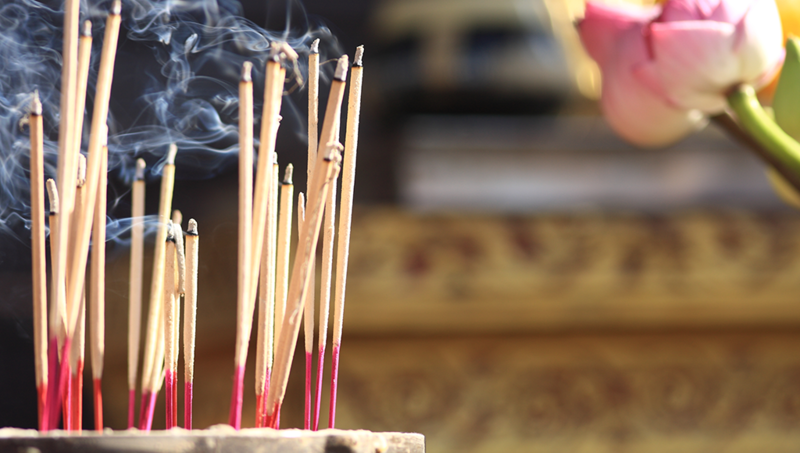 #3: Hindu and Buddhist monks have been burning oud incense sticks for thousands of years, especially when practising meditation, in order to improve their concentration and keep their minds clear. It is a known fact that increased focus levels lead to enhancement of productivity. The burning of agarwood incense sticks has been found to provide the best results. The incense sticks can provide you with great results when you are doing some work that requires intense focus. Children involved in studies or doing projects will also find it to be very helpful. The fragrance of agarwood incense stickscan vary widely, depending on the tree's age, growing region, and the skill of the person distilling the aromatic oil. Even if all of these conditions are maintained only very few batches of oud can be expected to be of the same quality. Oud incense sticks provide sweet, fruity, woody, and earthy fragrance. It may also exude hints of crushed leaves or the ethereal and intoxicating fragrance of musk. Typically, oud exudes a very strong and more masculine fragrance. The use of agarwood incense sticks at homes offers a number of benefits. It helps a lot in reducing stress, aiding sleep, enhancing productivity, and strengthening of your immune system. Having said that here is some information on the benefits offered by oud incense sticks: So, its better chance to invest in agarwood plantation to earn more from different agarwood products.